With over fifty years of combined experience in the fire protection industry, On Guard Fire Protection is committed to providing its customers with the highest level of service and quality in the most cost effective manner. Our turnkey solutions include, but are not limited to, fire alarm design and installation, fire sprinkler design and installation, fire extinguisher sales and service and consultation. With On Guard Fire Protection on your team, you can rest easy knowing that your projects will be given the level of attention and priority that they require. On Guard Fire Protection was established in 2006, as the only company in Southern Nevada that solely specializes in the installation of residential fire sprinkler systems. With a highly dedicated and knowledgeable staff, we have become the preferred contractor for many major builders in the valley. 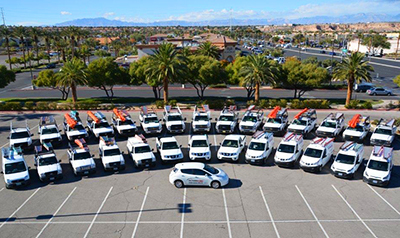 Due to this accomplishment and the level of service and quality that we provide, Rapid Response Home Fire Sprinkler System™ has named Residential Fire Protection as the only Preferred Contractor in Southern Nevada. Residential Fire Protection is also an active member of NFPA, SNHBA, ASFA, and the Las Vegas Chamber. Copyright 2006-2019 © On Guard Fire Protection.